Apple announced the new iMac over three weeks ago, but a report from French siteMacBidouillesuggests that the new iMac may not actually start shipping until early 2013. The new iMac features a number of design changes and LCD display improvements, but these advances may be responsible for a delay in expected shipping dates. Novel manufacturing and welding techniques required for the manufacture of the LCD screen are reportedly hampering Apple’s ability to increase production quantities to required levels to meet demand. The new iMac represents a major and long-anticipated update to Apple’s successful all-in-one desktop solution. The weight and thickness of the new iMac has been slashed compared with its predecessor, with overall volume reduced by 40%. 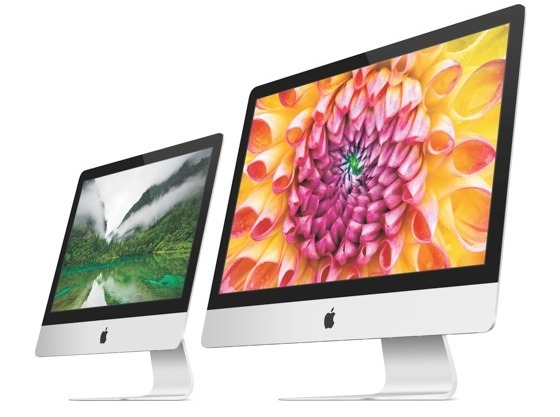 The new iMac comes in two sizes – 21.5 and 27 inches, with prices for the 21.5-inch model starting at USD $1299. The 21.5-inch iMac is equipped with a 2.7GHz quad-core Intel Core i5 CPU, 8 gig’s of RAM and a 1TB hard-drive. The 27-inch model iMac comes with the same amount of RAM and HD space but is powered by a lightning-fast 2.9GHz quad-core i5 processor. Shipping was due to commence in November for the 21.5-inch model, and in December for the 27-inch iMac. What do you think of the shipping delays for the new iMac? Will it affect your purchase of a new iMac desktop? Share your thoughts in the comments below.